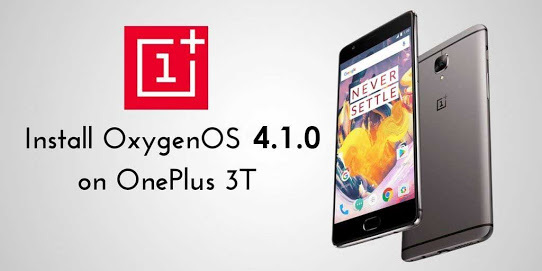 OnePlus has started rolling out Oxygen OS 4.1.0 update for both Oneplus 3 and OnePlus 3T smartphones. The new OTA update brings new features and least among them is upgraded to Android 7.1.1 from Android 7.0 Nougat. The brings also March security patch update for the both smartphones and it also adds a new feature to help users capture expanded screenshots. The earlier Oxygen OS 4.0.3 update have some problems such as wifi connection issue and UI bugs. The new update fixes these issues and brings host other bug fixes and improvements. The new update brings massive improvements to the optical department on OnePlus 3 and OnePlus 3T smartphones. It comes with new blur reduction feature which makes users helps to capture crystal clear images and also improvements in video stability. Just started rolling out the OTA update some time is taken that comes to your device if you have one . Once update reach your device you get notification from device. If you can’t wait for the notification , you go to [settings] > [About Phone] > [System Update] to manually check for the update.